It’s the Comic-Con that Never Ends! If you haven’t had the chance yet to catch director Morgan Spurlock’s San Diego Comic-Con documentary, Comic-Con Episode IV: A Fan’s Hope, the movie is now available to stream on Hulu Plus! According to the official site for the film, Hulu Plus has just joined the companies providing on-demand access to the heartfelt stories of five attendees for the 2010 Comic-Con. Comic-Con Episode IV: A Fan’s Hope is a must-see for any fan of comics or geekdom or fan culture in general. With real-life stories of con attendees, it shines a light on the human side of Comic-Con while exploring what’s let SDCC become such a huge part of pop culture. If after streaming it, you decide you want more from Comic-Con Episode IV: A Fan’s Hope, pop over to Figures.com or NerdistNews to enter exclusive DVD giveaways! 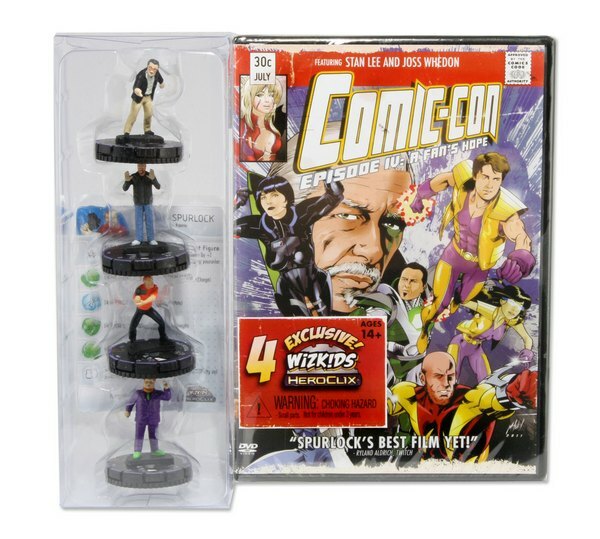 Figures.com has 2 copies of the movie with exclusive Wizkids HeroClix of Morgan Spurlock and producers Stan Lee, Harry Knowles and Joss Whedon! Click here to enter their giveaway. 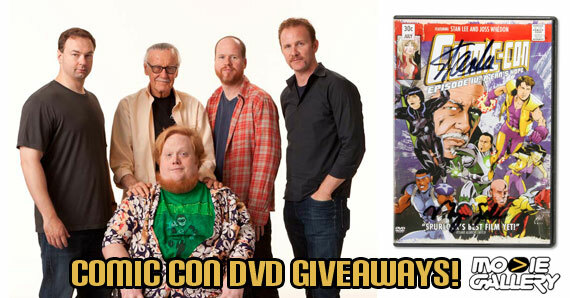 Taking collectible editions to a new level entirely, NerdistNews has joined forces with Comic-Con Episode IV: A Fan’s Hope to hand out 2 DVD copies of the movie signed by Morgan Spurlock and Stan Lee! Don’t miss this one, because these are the only ones of their kind. Click here to enter the NerdistNews giveaway. If you don’t have a Hulu Plus account, click here to sign up and watch Comic-Con Episode IV: A Fan’s Hope in full, and don’t forget to enter the Figures.com and NerdistNews contests! Good luck to all who enter! This entry was posted in Contests & Giveaways, Documentary and tagged Comic Con, comic con movie, comic-con episode iv a fan's hope, Morgan Spurlock, Stan Lee by summerm. Bookmark the permalink.